I wish there was a simple answer but the fact of the matter is it takes a fair bit of research. There isn’t one all-encompassing site or database to send folks to. Since the question arises so often I’ve decided to publish this blog post detailing the various methods and information sources I’ve use. All of the southwest states are broken up into smaller chunks with their own BLM field Office. Many of the field offices have little visitor centers with rangers, staff or volunteers on hand. You’ll find addresses and telephone numbers on the BLM website. Nothing like getting the official disperse camping rules straight from the horse’s mouth. As an example this past spring we visited the area known as the Arizona Strip with a BLM Office located in St. George, Utah. Upon visiting the BLM office in person we found a nice little visitor center with several helpful volunteers on hand eager to dispense advice. 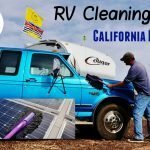 One gentleman was a fifth wheel camper like us so gave us first hand knowledge of several areas where we could take our larger trailer and areas to definitely avoid. They also had detailed topographical maps for sale showing the exact BLM boundaries. For a great place to buy BLM and Forest Service maps online check out PublicLands.org. 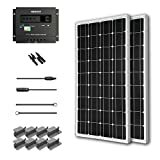 When I’m researching new areas for potential boondocking locations I hit up several websites for information. Here is a list of my go to websites. 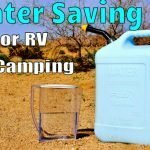 Allstays Camp and RV – This site has a comprehensive list of camping opportunities but can be filtered to only show certain types. For example, pick a state then the map feature then choose the filter “All Public Lands”. Allstays comes in App form as well for your smartphone or tablet. Freecampsites.net – Has an easy to use mapping feature. Just enter the desired location and you’ll get a map with markers indicating free or very low-cost camping. The great thing about this site is folks have left reviews and firsthand information about each location. Very handy indeed although some can be a little dated. 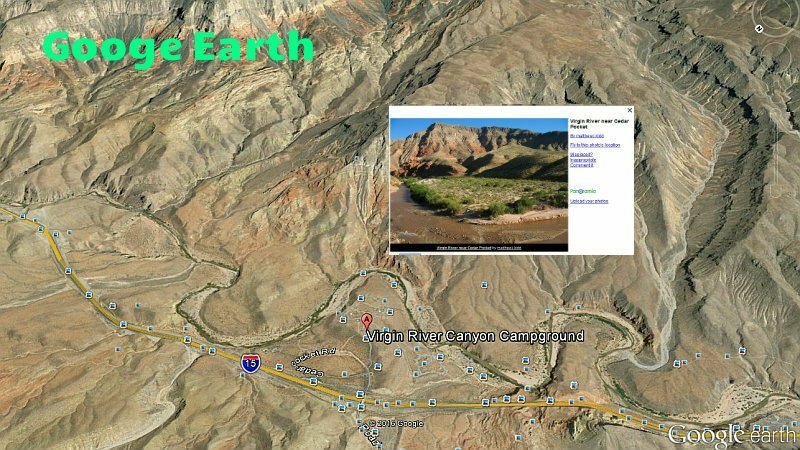 Ultimate Campgrounds – Very fast map allowing you to quickly drill down into an area and see a database of public lands camping such as State, National, County and BLM. Each marker has a little bit of information on the location. From there I will take the location name and do a Google text and image search to glean more information. 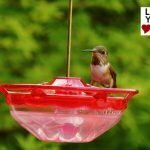 USCAmpgrounds.info – (The most comprehensive guide to Federal, State, Provincial and Local campgrounds) Another map based campsite location website loaded with information and links for each spot. Campendium – This is my new favorite! It has a very modern layout with up to date reviews and scads of campsite location photos. However being a newer site the review database is still a little thin but growing fast. 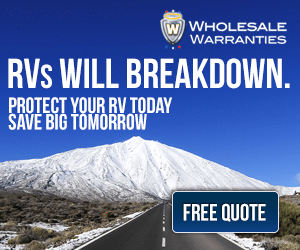 As you are searching for information on a particular boondocking location you’ll likely run across links to blog articles with detailed write-ups, photos and sometimes video footage. 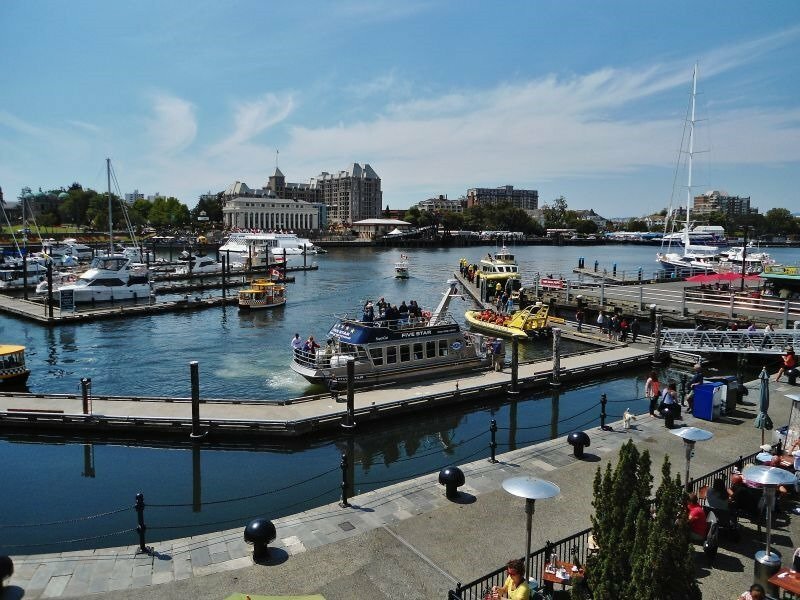 Many of us including myself love to share our journeys and often highlight the most beautiful spots we visit. 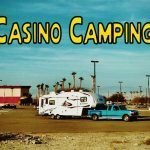 When you find a helpful article have a look around the bloggers website for a boondocking category or use the search feature entering the keywords “boondocking” or “camping” you’ll likely find more articles leading to new campsite discoveries. As an example, a standout blog in this realm for me is called Wheeling It. 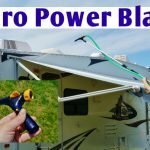 Some of the most thorough boondocking site reviews and information out there. Best of all since they travel in a large Class “A” you can feel fairly confident of accessing the locations mentioned with most rigs. Once you have narrowed down your search to a potential boondocking camp area. Take the name and feed it into the search boxes on sites like Google Images, Google Maps, and YouTube. The resulting visuals can really help you get a sense of the place before venturing out. One of my favorite mapping programs to utilize is Google Earth. It has a cool tilt feature that makes it look like a 3D flyover of the area. Look for images people have uploaded scattered about to get an on the ground view. Zoom in and look for signs of previous campers like stone fire rings and tire tracks. Large flat looking areas with these things is usually a good sign. With the explosion of smartphones and internet connectivity even in the boonies, social media has become a valuable resource for a boondocker. 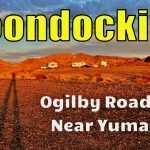 Facebook has several groups dedicated to free camping and boondocking and Pinterest has many great boondocking related boards to follow. The BLM itself has an informative and interesting Tumblr feed. A really handy one is the hugely popular Instagram where people upload photos and short videos from their phone with a bit of text and multiple hashtags. By searching for a specific hashtag like #boondocking you’ll get a feed of the latest photos posted. When you find a poster who is posting camping spots you like using a rig similar to yours, follow them. They may seem out of date in this day and age of fancy social media sites but old fashion bulletin board style forums are still relevant and contain reams of easy to search and digest information. 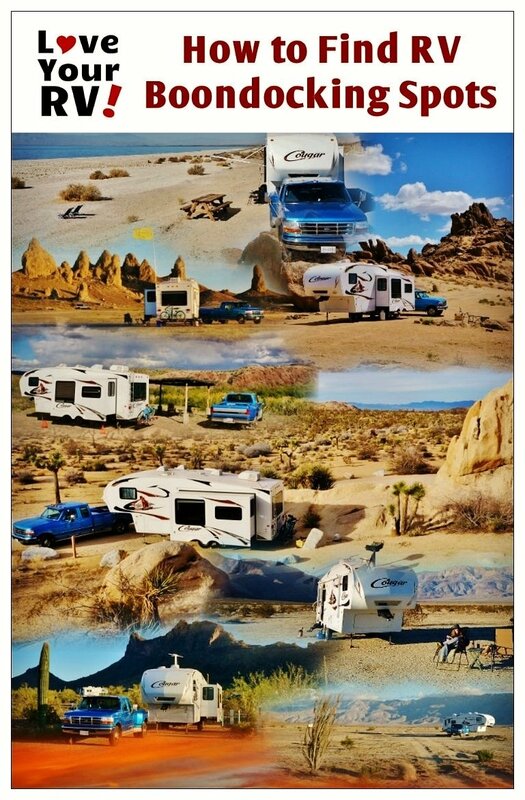 Here are a few I like to use IRV2.com, RV.net, RVForum.net, RV-Dreams.com and my own located the Love Your RV Forum. The Frugal Shunpikers Guides are a set of paid eBooks split into each of the southwest US states. You can buy them individually or save by buying several at once or the whole set. They are well written and packed with details. 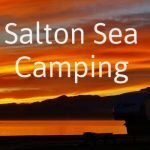 I highly recommended them to anyone looking at doing extended trips through the southwest with boondocking or frugal camping costs in mind. Here is the full review I did after reading through the Arizona book.